It’s Easter Day soon. During the Easter celebration, most people would like to take photos for future review or sharing. What would you do when you want to create a photo slideshow with the photos you’ve taken on Easter Day? This post is to introduce 2 effective solutions for you to create Easter photo slideshows. You could sure get satisfied solution here. 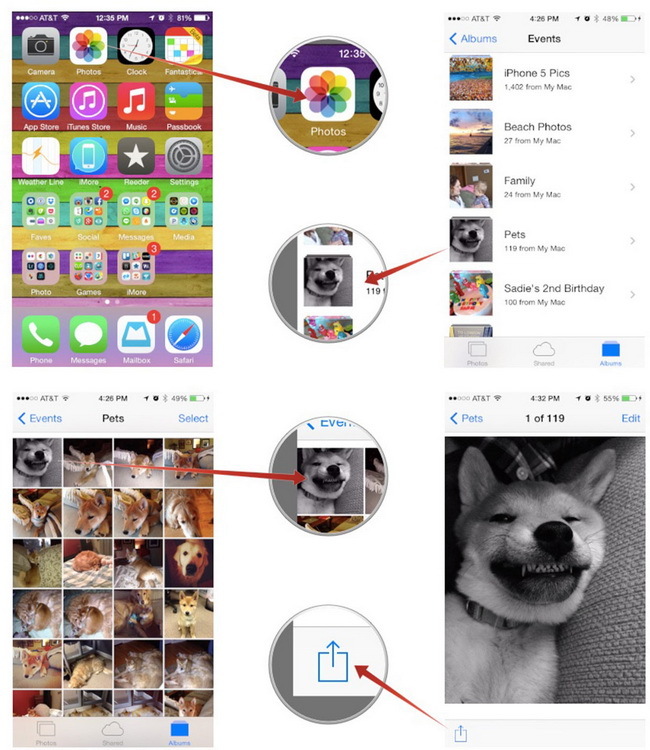 Tap into the album you’d like to use in the slideshow or tap into your Camera Roll. Tap on the Easter photo you’d like to start the slideshow to open it. Tap on the Share button in the bottom left hand corner. Tap on Slideshow in the share menu. Tap to confirm where you’d like to play the slideshow. If AirPlay compatible devices are in range, those will show up as options. Tap on Start Slideshow at the bottom. It is very convenient for iPhone and iPad users to make photo slideshow with photos taken, but this solution has some disadvantages. In this way, it could only generate photos in the same album into a photo slideshow for viewing. It couldn’t save the generated slideshow on your iPhone or iPad. A photo slideshow maker would help you generate Easter photo slideshows and then save for other uses. Leawo’s Photo Slideshow Maker, a built-in plugin inside Leawo Video Converter, could help you create Easter photo slideshows and even edit Easter photo slideshows by adjusting photos and adding background audio. Download, install and run Leawo Video Converter, then follow the below steps to learn how to create Easter photo slideshows. Open the “Convert” module and then click the “Add Photo” icon on the sub-menu bar to browse and load the Easter photos you want to generate into slideshow. Selected photos would be automatically generated into photo slideshow after loading. You could get preview of generated photo slideshows via double click within the built-in photo slideshow player. It’s neccessary to edit generated photo slideshows as you may want to adjust the photo position, add transitions, import extra photos, etc. Click the “Edit” icon on the generated slidehow title, or right click the generated slideshow title and then click “Edit” option to enter the “Slideshow Editor” interface. On the editing panel, under Video tab, you could import extra Easter photos or other photos, adjust photo position via drag-and-drop, set output video effect, etc. Under the Audio tab, you could add background music, set music coverage, set output audio effect, etc. Select the slideshow you want to convert, hit the clickable icon right before the big green “Convert” button and then select “Change” option to enter the Profile panel. On the popup window, select desired profile as output format from “Format” or “Device” group according to your real needs. Note: If you need, click “Edit” button on the drop-down box before the big green “Convert” button to enter the Profile Settings panel for video and audio parameters adjusting, including: video codec, bit rate, resolution, aspect ratio, frame rate, audio codec, video size, etc. Back to the main interface and then click the green “Convert” button. On the popup sidebar, click the “Save to” box to set an output directory. After that, move mouse to the bottom of the sidebar and then click the “Convert” button. Leawo Video Converter would start to output your Easter photo slideshows. When the conversin is finished, you could freely use the created Easter photo slideshow as you like: upload to YouTube or blog, save onto mobile phones, editing in video editors, etc. Easter is a religious holiday, and it has many customs, of which Easter Egg is one. 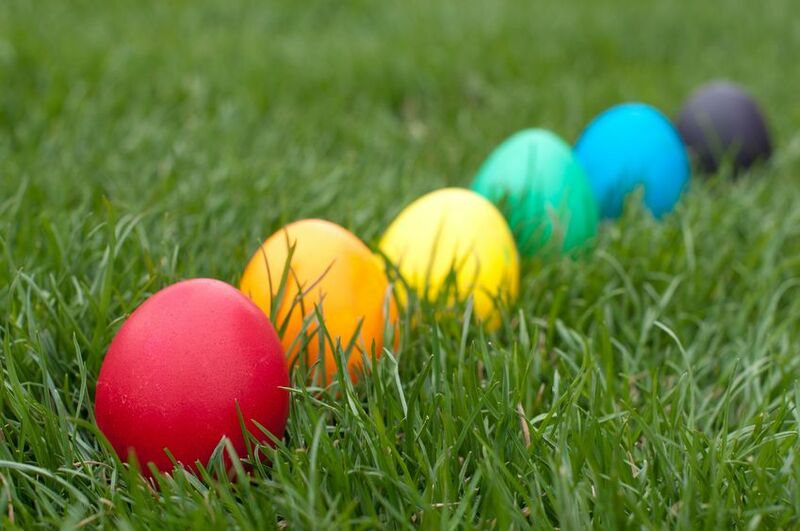 Easter Eggs are said to be linked to pagan traditions. The egg, an ancient symbol of new life, has been associated with pagan festivals celebrating spring. From a Christian perspective, Easter eggs are said to represent Jesus’ emergence from the tomb and resurrection. Decorating eggs for Easter is a tradition that dates back to at least the 13th century, according to some sources. One explanation for this custom is that eggs were formerly a forbidden food during the Lenten season, so people would paint and decorate them to mark the end of the period of penance and fasting, then eat them on Easter as a celebration.